Geranium Premium London Dry Gin from Hammer & Son. Not so long ago, my father and I decided to make the best gin ever. Our aim was to create a gin that was dry and aromatic at the same time, so it could be used with both crisp mixers such as tonic and vermouth, and fruity mixers like juices, berries and fruits. From the beginning, we knew that a particular type of Geranium could add that special quality to the gin which we were seeking to develop and would blend in perfectly with the inevitable juniper. 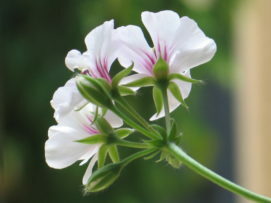 Also, the common use of Geranium corresponds to the history and the original purpose of gin. This adds an extra dimension of authenticity. Several months of (Joyful) experiments later, my father and I had found the recipe we were looking for. Unfortunately, my father did not live to see the first bottle in the stores but I have a feeling that right now he is enjoying a fantastic cocktail mixed with our gin in his own personal heaven. Products From Hammer & Son Ltd.